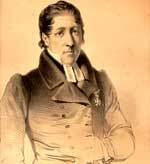 Lars Levi Laestadius (1800-1861) headed the greatest religious revival of all times in northern Scandinavia. He was also a renown botanist and his era's most knowledgeable specialist of arctic flora. 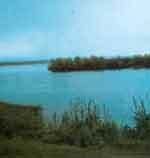 Having grown up in Swedish Lapland, he was thoroughly acquainted with both the people and the plant life of the north. In 1820, Laestadius arrived in Uppsala to study theology and botany. 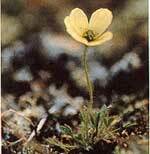 He conducted botanical expeditions and published various articles on Lapland's plant life. 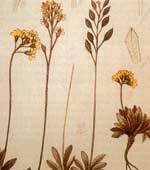 In 1825, Laestadius became an ordained minister, and he continued to study botany - in which he made many discoveries. He also participated on the 1838 Recherche expedition as a botanist. And, between 1826-1848, he was a botanist and minister, in Karesuando, in northern Sweden. Laestadius came into contact with a Sami woman, on an 1844 journey, who paved the way to his religious breakthrough. The following year marked the beginning of the pietistic revival that would influence northern Scandinavia's religious and cultural life for years to come. This Laestadian Revival, as it came to be called, had tremendous impact on the Sami population. Laestadius mastered both Sami and Finnish; his most important language, as a minister of the gospel, proved to be Finnish. A group of thirty-five Sami nomads - believers of the Laestadian Revival - marched on a town called Kautokeino in 1852. They came to "wage war against the unrepentant". During this clash of faith, they killed the village's shopkeeper and bailiff, maltreated the town's minister and burned the local shopkeeper's home. This uprising was mostly due to the poor social conditions which the Sami were living under, but Laestadius and his movement were blamed by many for what had happened. Disciples of the Laestadian Movement are adherents of literal Biblical interpretation. Great emphasis is placed on mankind's inherent sinfulness. And conversion to the true faith is evoked by the confessing of sin before a congregation. This may then be followed by confession to one of the movement's leaders who will grant forgiveness of sin by a laying on of hands. The Laestadians are stern Lutherans with strict morals. They are also known to be extremely conservative in ethical and religious issues. The Laestadian Movement once had - and still has - great impact on the northern Scandinavian peninsula.